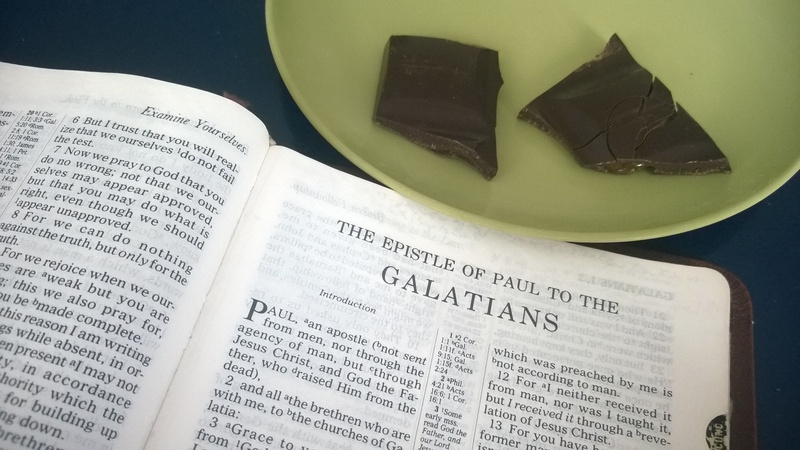 Welcome to Paul’s letter to the Galatians! Now that we’re into a new book, let’s keep talking about counterfeits like we did yesterday. Remember how Paul ended 2 Corinthians by admonishing his readers to examine themselves for counterfeit faith? Turns out Galatia’s got a similar problem: but this time, it’s not fake faith, it’s fake good news. Paul tells the Galatians: “I am amazed that you are so quickly deserting Him who called you by the grace of Christ, for a different gospel–which is really not another, only there are some who are disturbing you and want to distort the gospel of Christ” (6-7). They’re trading in the real gospel for a fake, a distortion, a perversion of the actual good news of the crucified and resurrected Messiah. And as we all know, fake news, even fake good news, is bad news. But there’s good news when it comes to spotting fake good news. There’s a key point I remember from Henry Blackaby’s Experiencing God: currency fraud prevention agents don’t study counterfeit bills in all their endless permutations. They study the genuine article. They become so intimately familiar with legit bills that they can spot anything that doesn’t measure up. Think about memorizing your multiplication tables: you don’t memorize all the things that six times seven isn’t. You memorize what it is. Just so, Paul intends to point his readers back to the gospel that he’s been preaching from the beginning. Paul points out from the very first verse that the gospel, and his commissioning as an apostle to preach the gospel, aren’t some man-made fabrication. As he gets deeper into his point, he describes the gospel as “not according to man” (11), and further explains, “For I neither received it from man, nor was I taught it, but I received it through a revelation of Jesus Christ” (12). The risen Messiah himself blinded Paul on the road to Damascus in order to bring him into the fold. Paul was forced to confront his own sinfulness, his need for the perfect sacrifice of Jesus Christ to set him right with God. That’s the gospel he’s been preaching from the outset. He doesn’t articulate it so explicitly in this chapter, but from the corpus of his letters and the accounts of his ministry travels in Acts, you know that’s what he’s about. And if he deviates from it, he tells the Galatians, they can stop listening to him: “But even if we, or an angel from heaven, should preach to you a gospel besides what we have preached to you, he is to be accursed” (8). Here’s the thing about error: you recognize deviation by comparing it to the norm it deviates from. Distortion doesn’t work unless there’s some reality there to distort. Every lie implies the existence of the truth. The shadow proves the sunshine. Posted in All the Paul, Daily Reading, Galatians, New Testament, Topical Studies.Tagged bible, christianity, devotional, epistle, false teaching, Galatians, gospel, Jesus, paul, theology, truth.